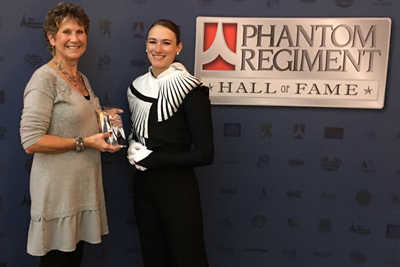 The Phantom Regiment Hall of Fame recognizes individuals who have made a significant and long-lasting positive impact on the Phantom Regiment organization. The Hall of Fame begin in 2016, with 36 inductees enshrined that inaugural year. 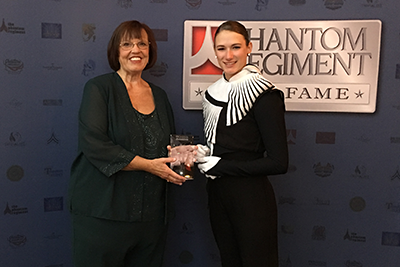 Prior, Phantom Regiment recognized those who have made a significant impact on the organization by adding their names to the “Heritage Plaque”. 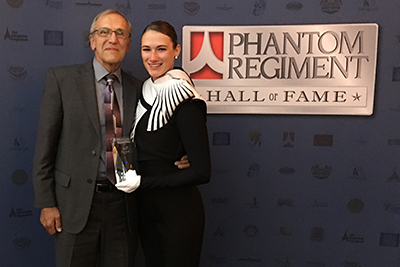 To better honor them with a more traditional recognition, Phantom Regiment created the Phantom Regiment Hall of Fame during its 60th anniversary year. The author of the nomination letter must collect the support letters and email all three (nomination packet) at one time to the address and by the deadline listed below. Nomination packets can be sent beginning February 1st and no later than close of business on February 28th. The Hall of Fame Chairperson reserves the right to reject submissions that do not follow the above requirements. Nominations will be submitted to the Hall of Fame Committee, who will vet the candidates and approve them for the voting process. Any person who has made a significant and long-lasting, positive impact on the Phantom Regiment organization will be considered by the committee as a possible recipient of the Hall of Fame Award. The voting body will include the existing Hall of Fame Members (living), PR Board Members, PRAA Board Members, Executive Director and Corps Director (one vote per person). The Hall of Fame inductee(s) will be announced each year at the Show of Shows in Rockford. The Hall of Fame Banquet takes place in October in Rockford, IL.